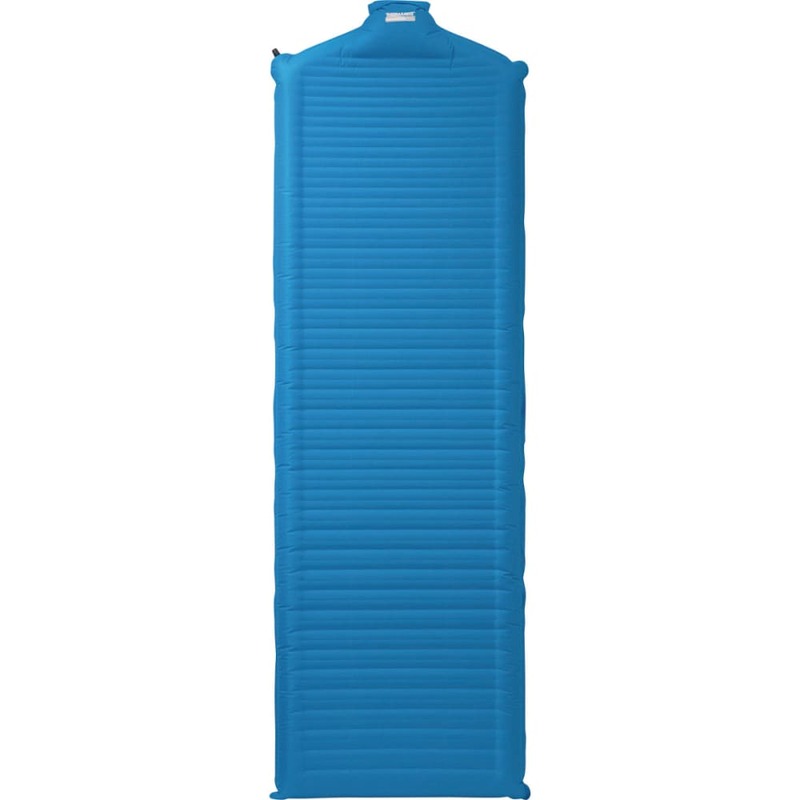 Therm-A-Rest took its thick, ultra-supportive NeoAir® Camper mattress and added a new SpeedValve™ design, creating the fastest way to feel at home in the outdoors. Using simple physics, the SV allows you to inflate your insulated mattress up to three times faster than traditional valves, with a fraction of the effort. Once inflated, reflective ThermaCapture™ technology and WaveCore™ construction combine hundreds of internal cells and efficient, radiant heat capture to deliver reliable, compact three-season comfort. When it's time to break camp, the patent-pending, auto-reversing valve deflates the mattress almost instantly. Stuff sack and repair kit included. Weight (Standard): 2 lbs., 5 oz. Measures 25 x 77 x 3"
Packed: 10.6 in x 6 in. Volume (Standard): 5775 cu. in.